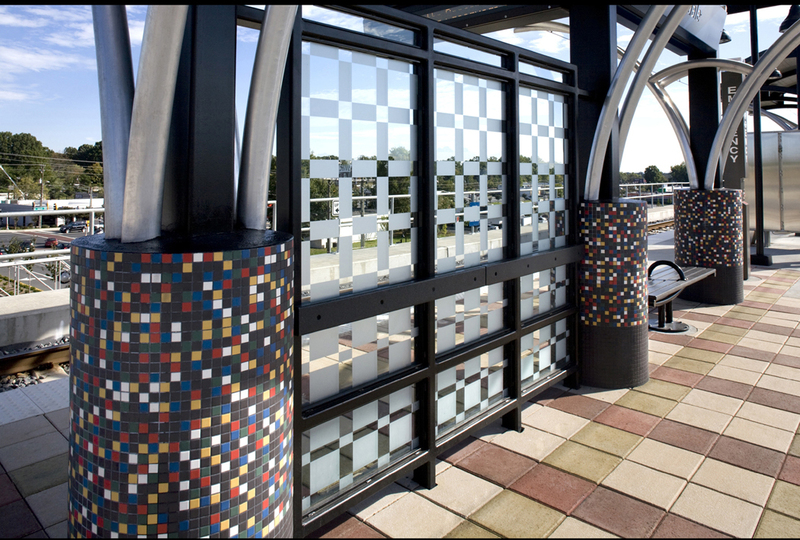 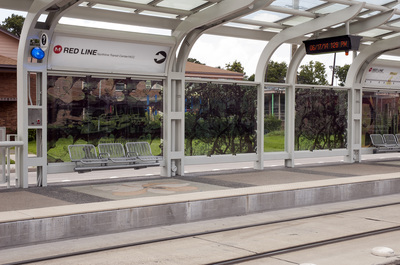 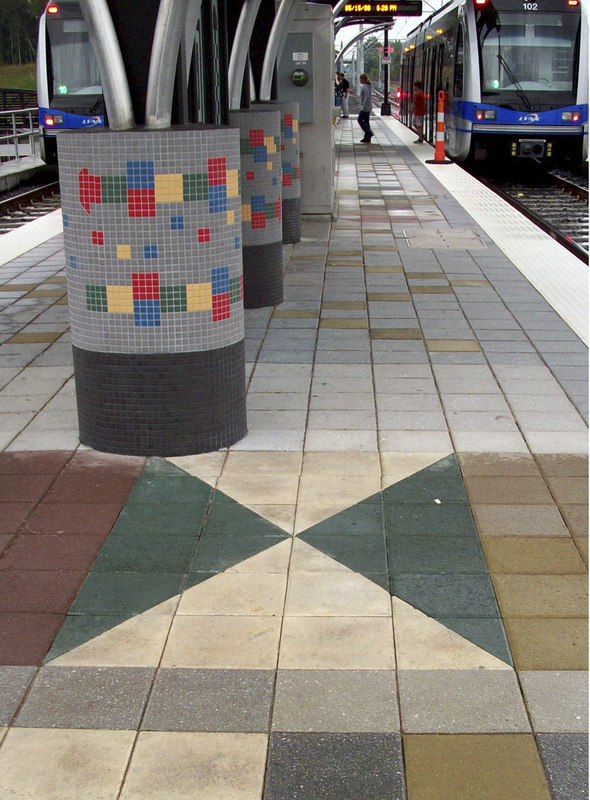 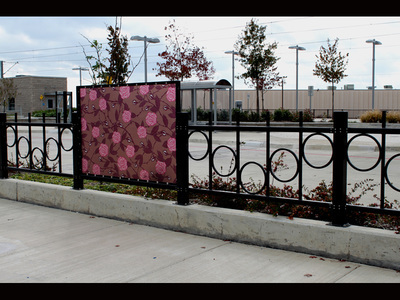 Houston Metro Light Rail Project Design of windscreens, platforms and fences at the Melbourne, Graceland and Quitman Stations were each based on neighborhood history and community concerns for the future. 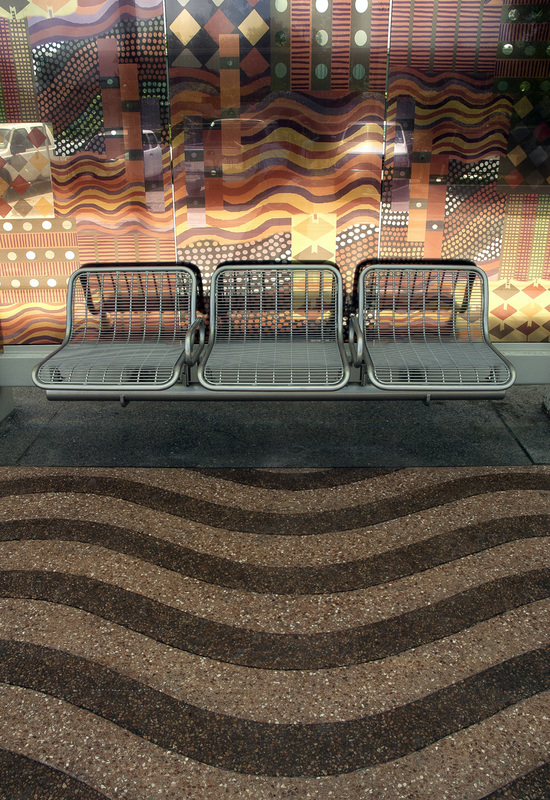 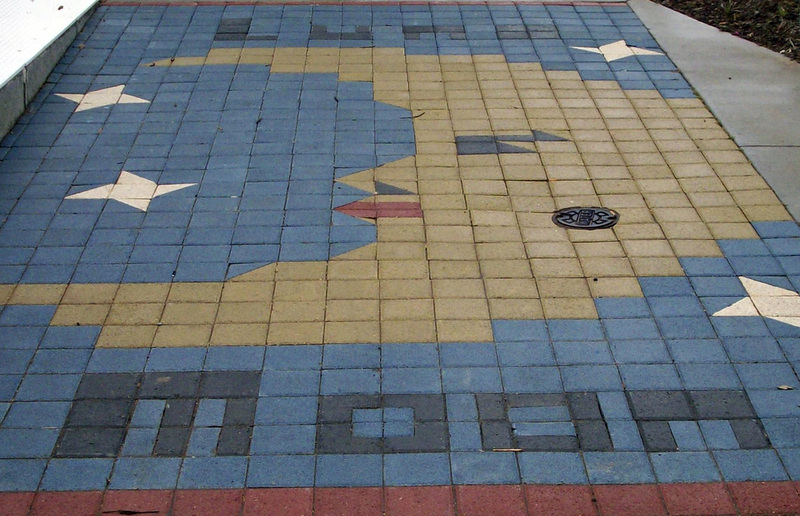 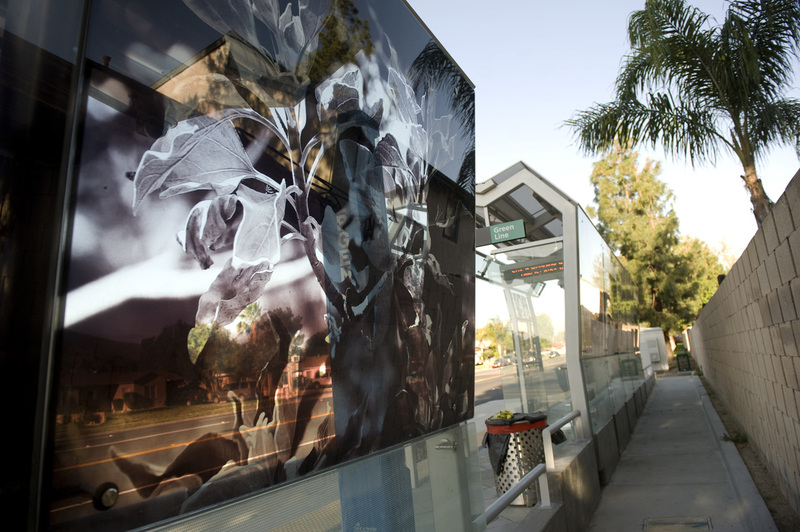 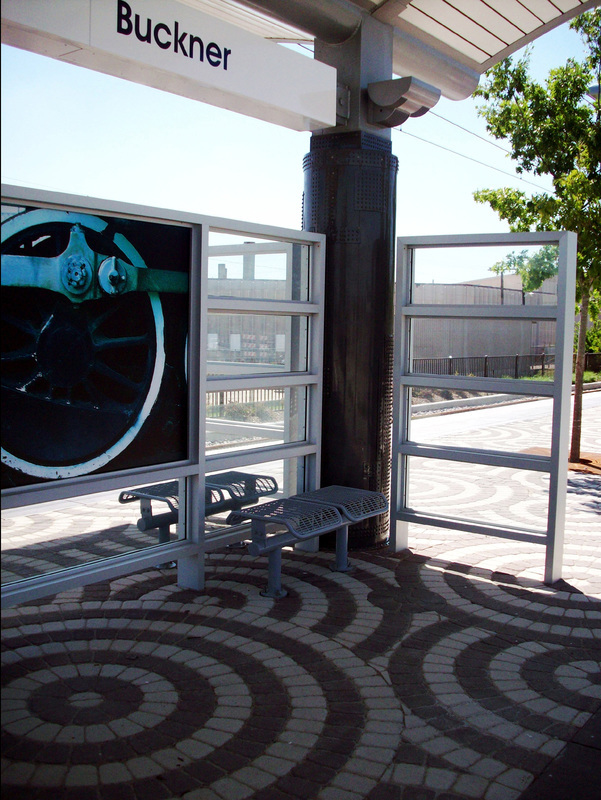 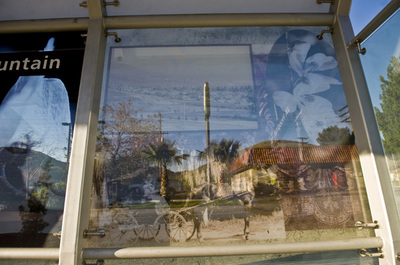 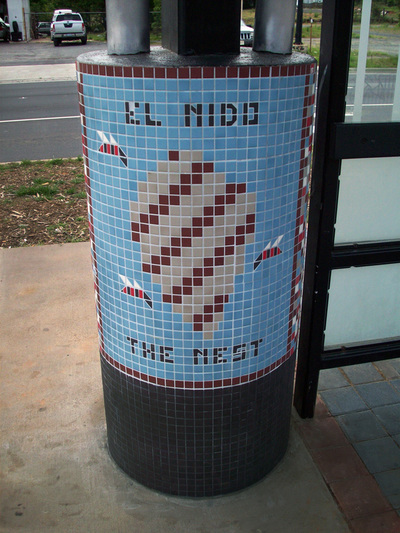 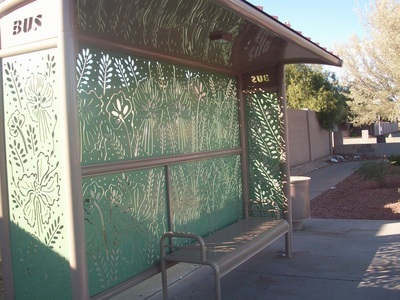 67th Street Bus Shelter Project, Phoenix, Arizona. 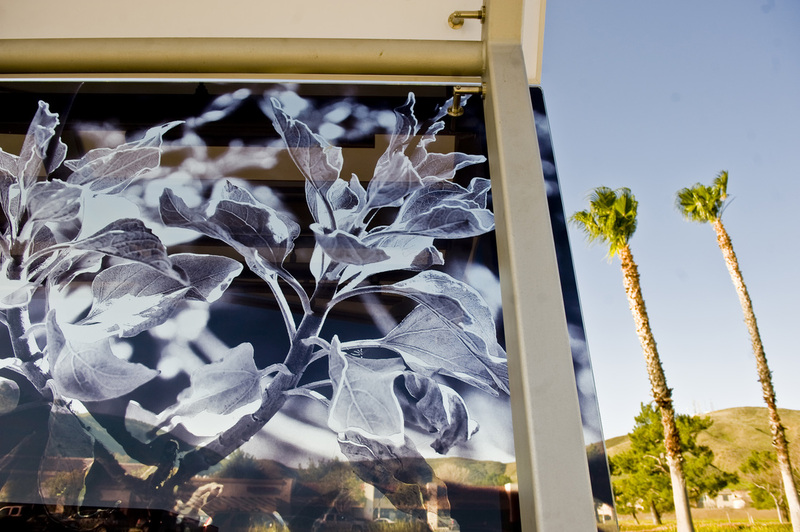 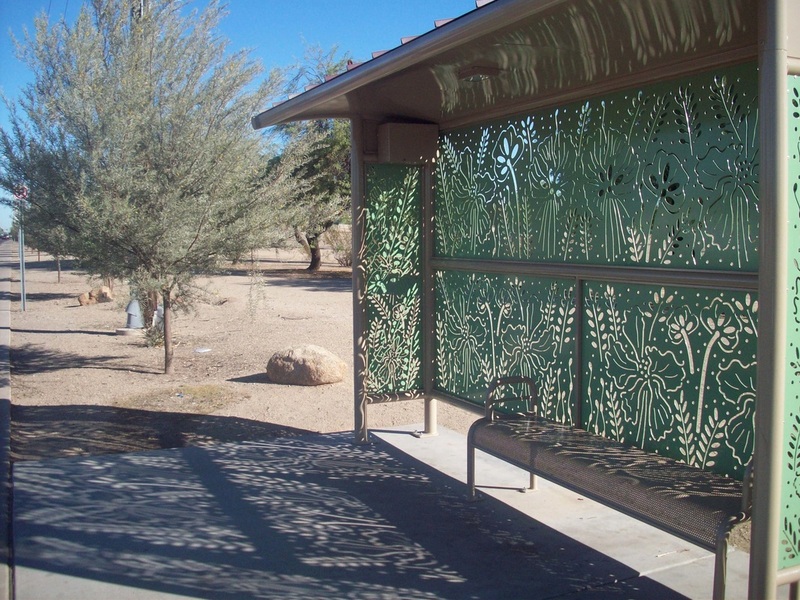 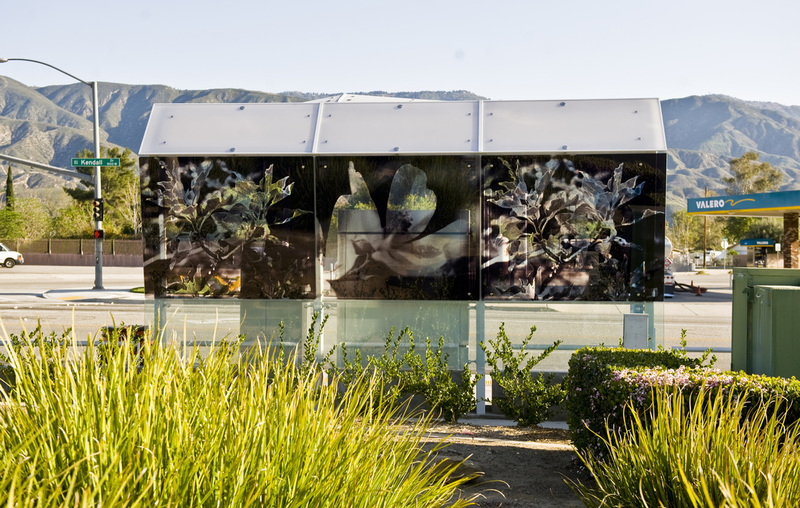 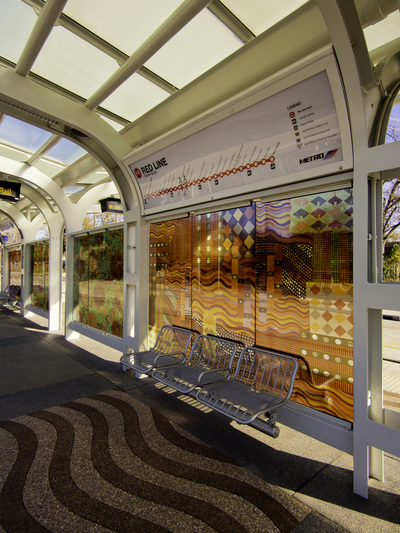 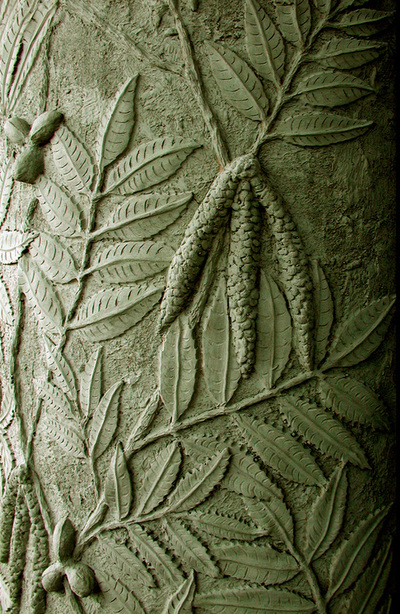 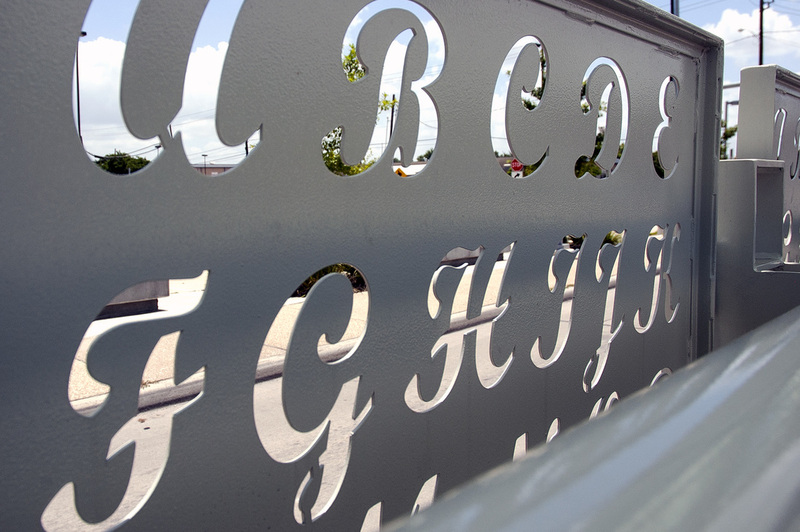 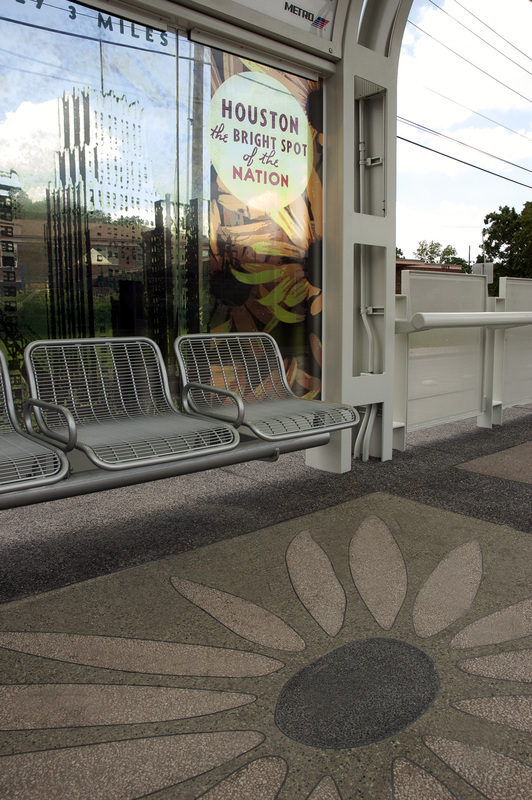 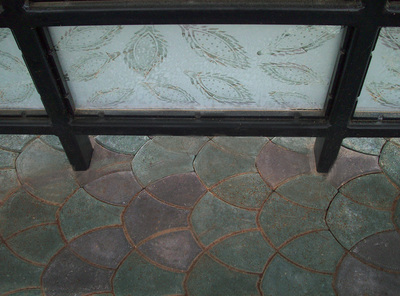 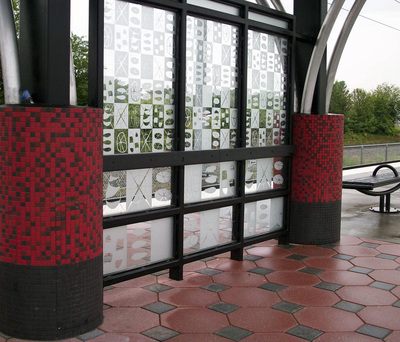 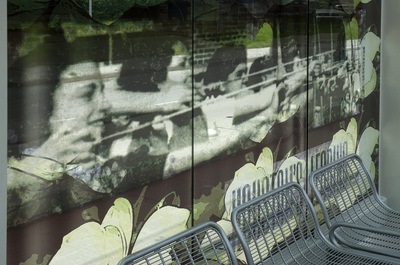 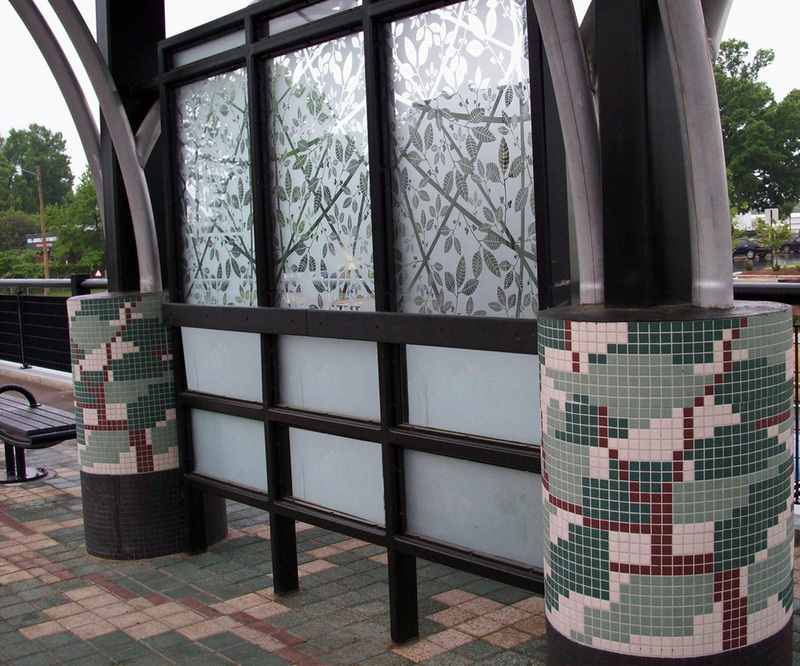 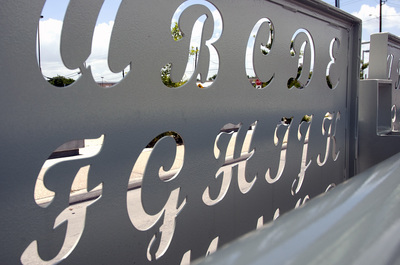 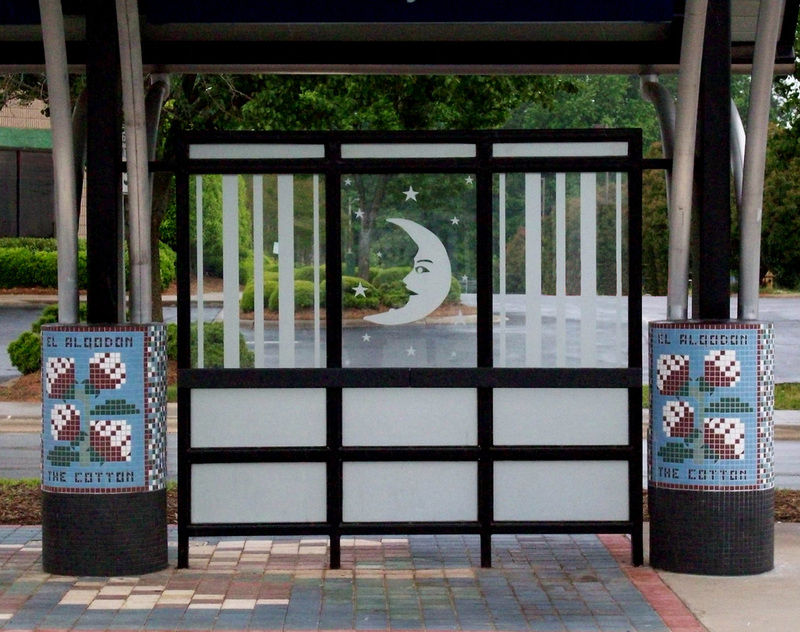 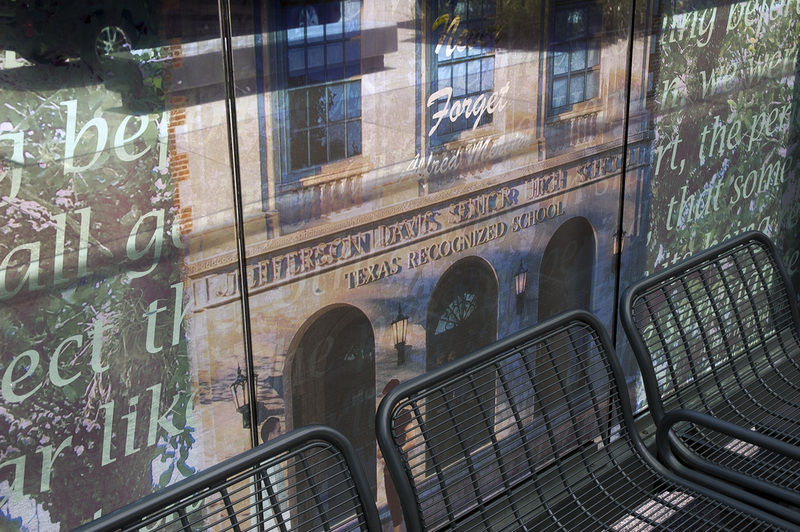 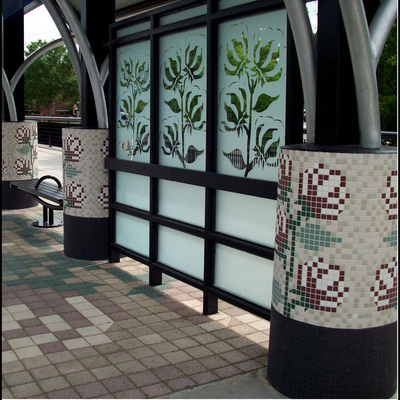 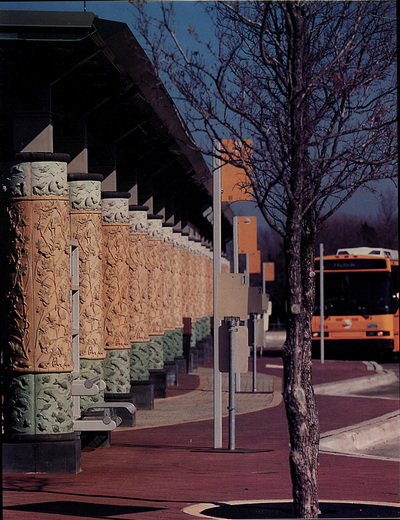 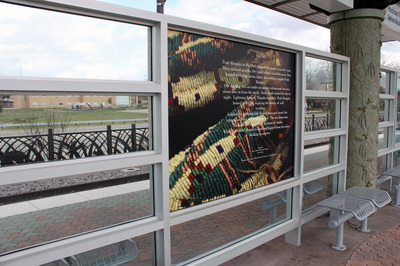 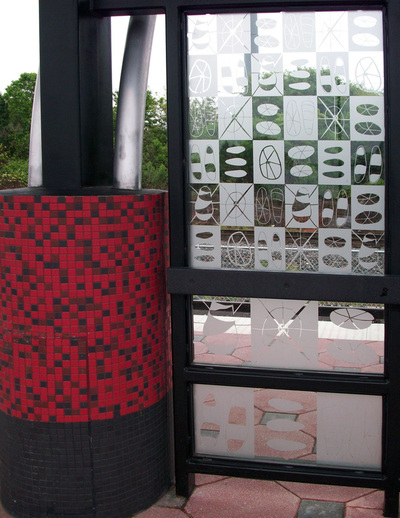 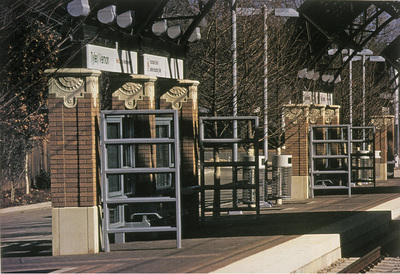 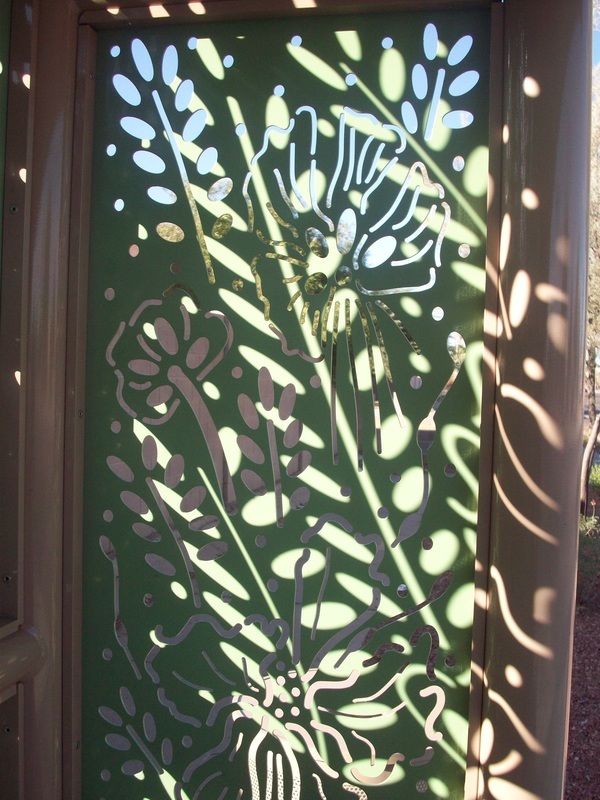 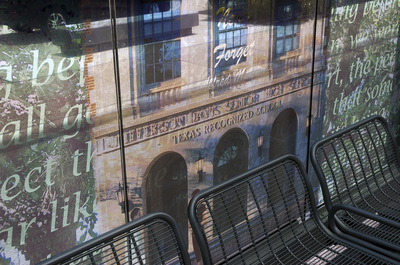 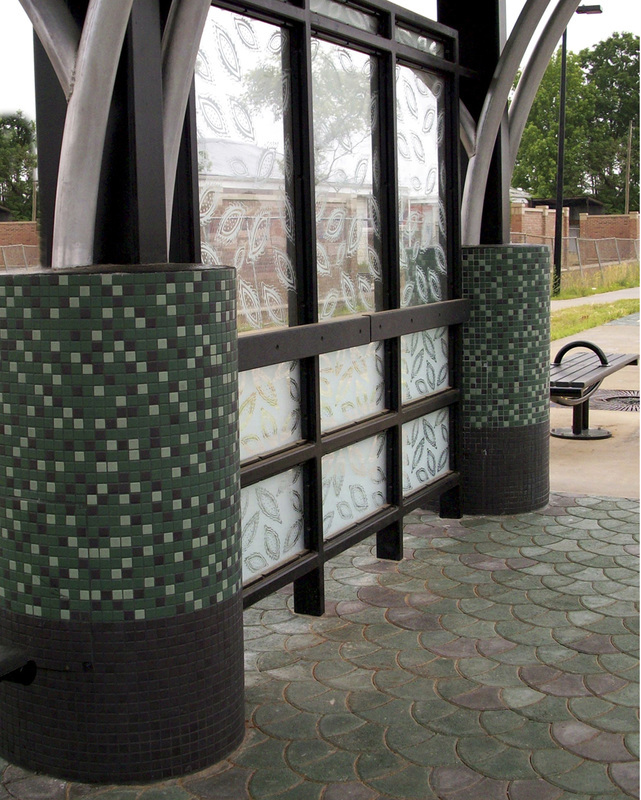 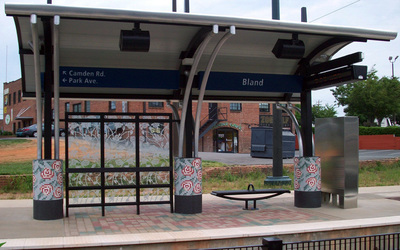 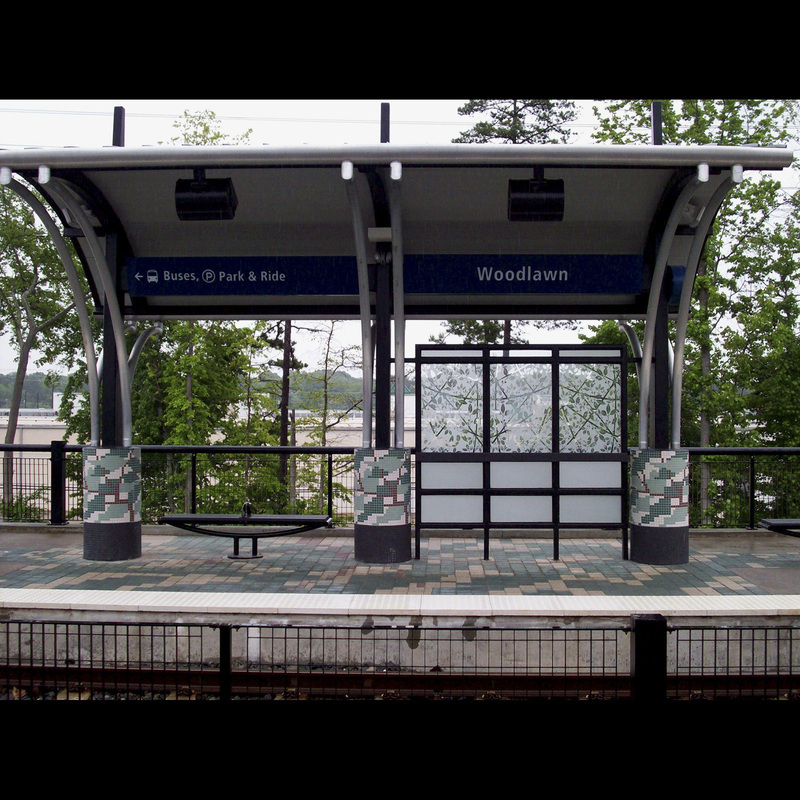 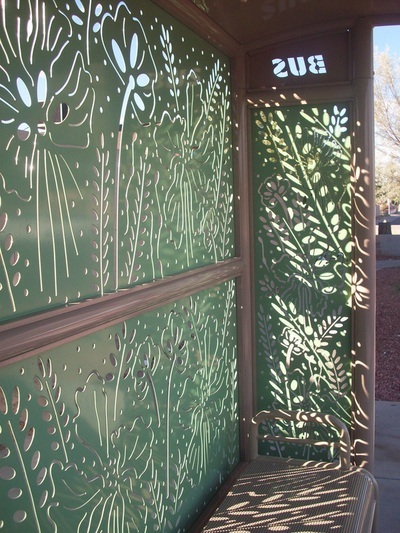 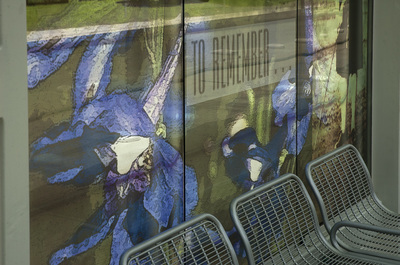 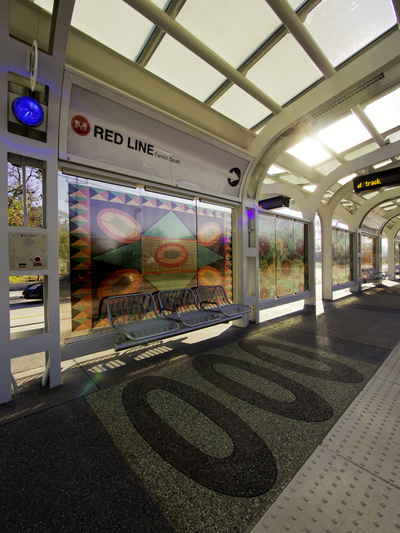 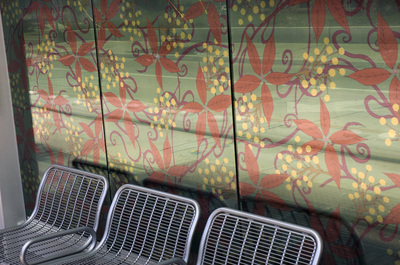 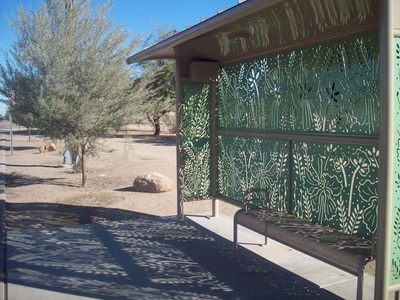 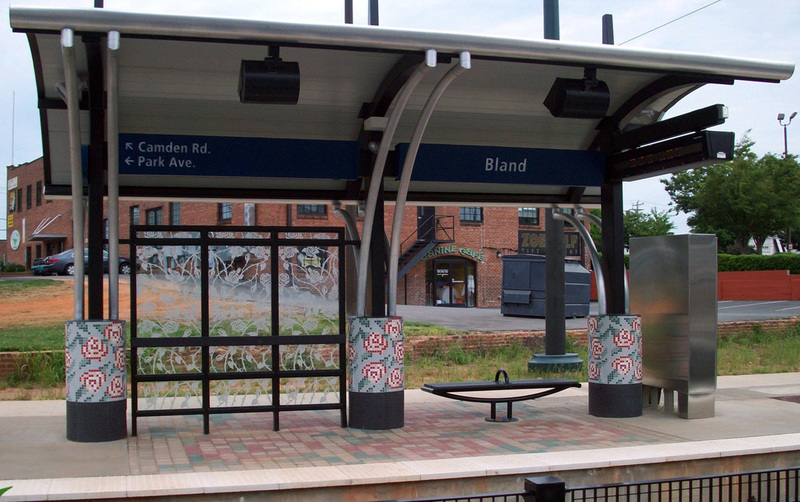 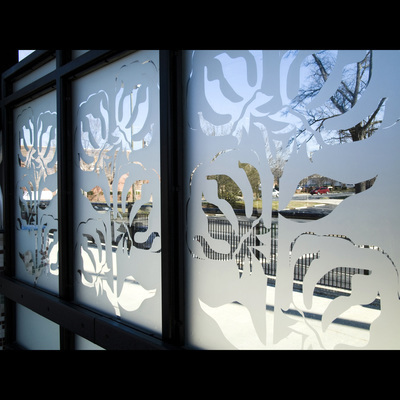 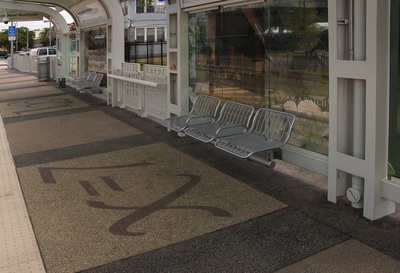 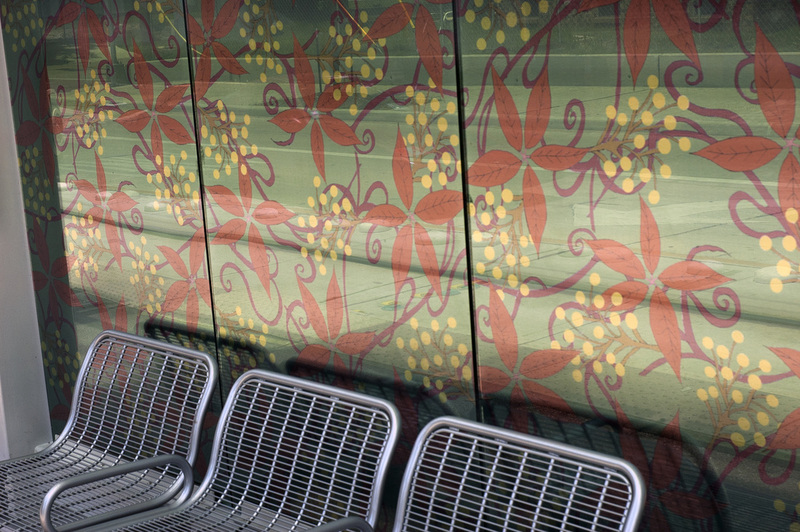 Design of bus shelters based on native foliage inspired the designs that were executed in powder coated laser cut steel. 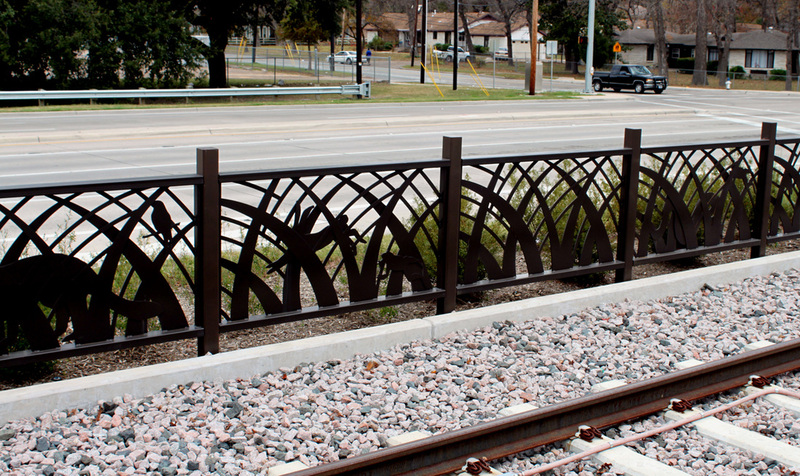 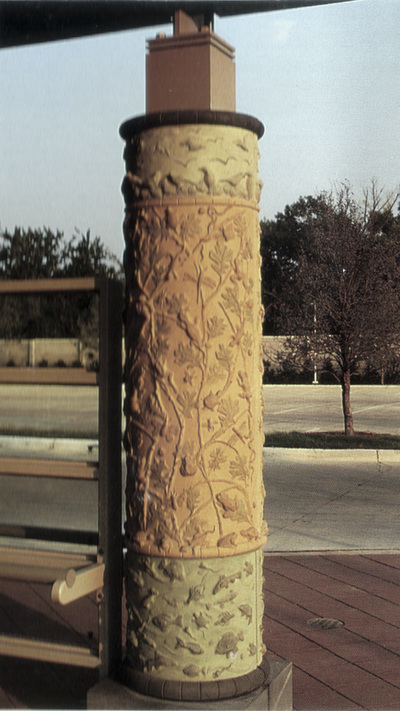 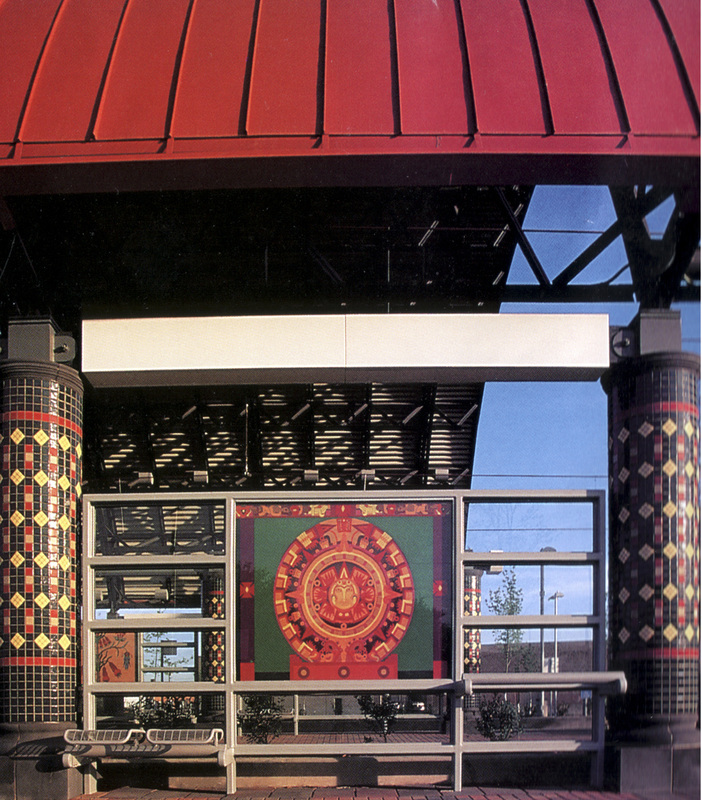 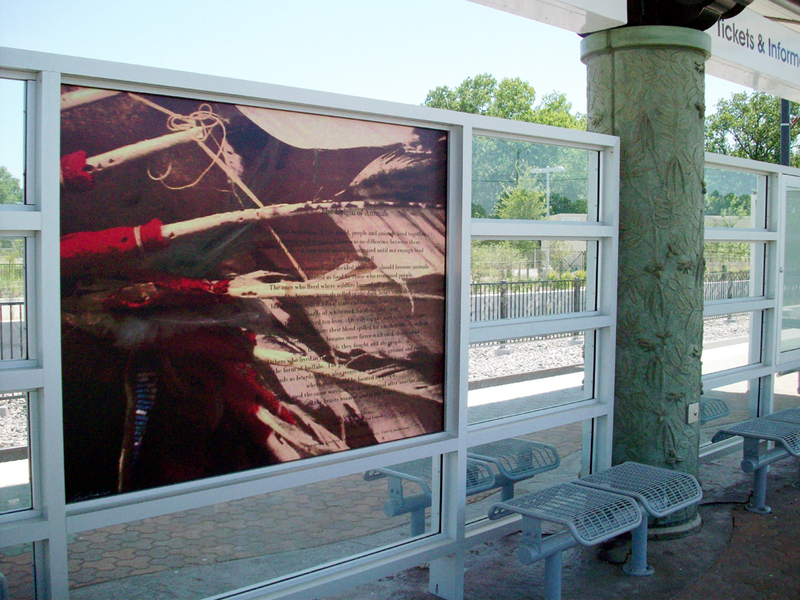 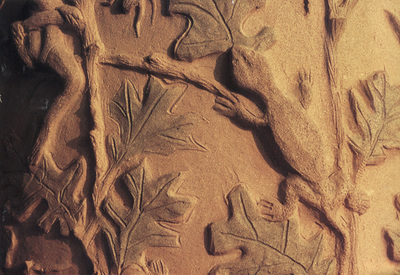 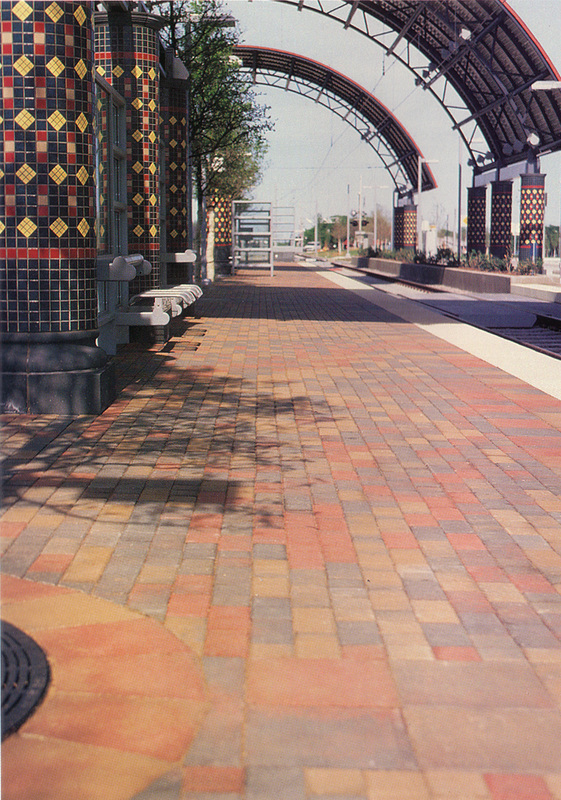 Design of the DART Lawnview station references the Great Trinity Forest and the Native American history of this area. 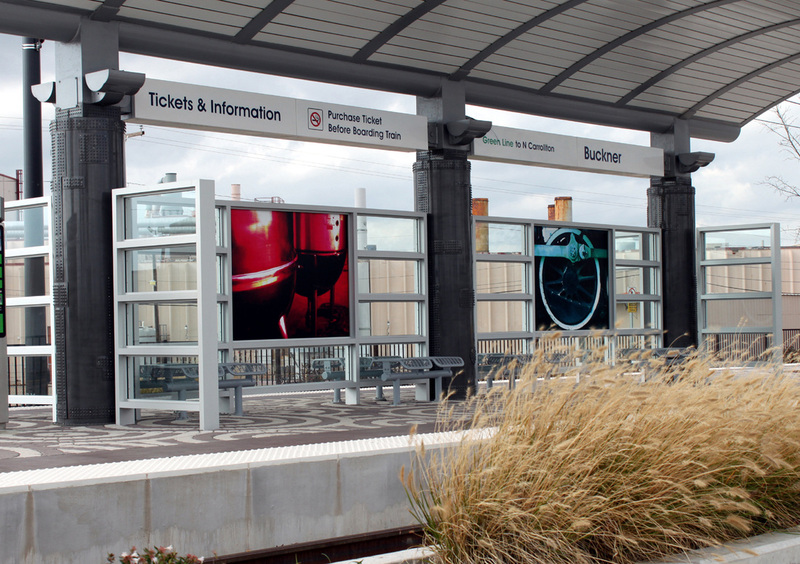 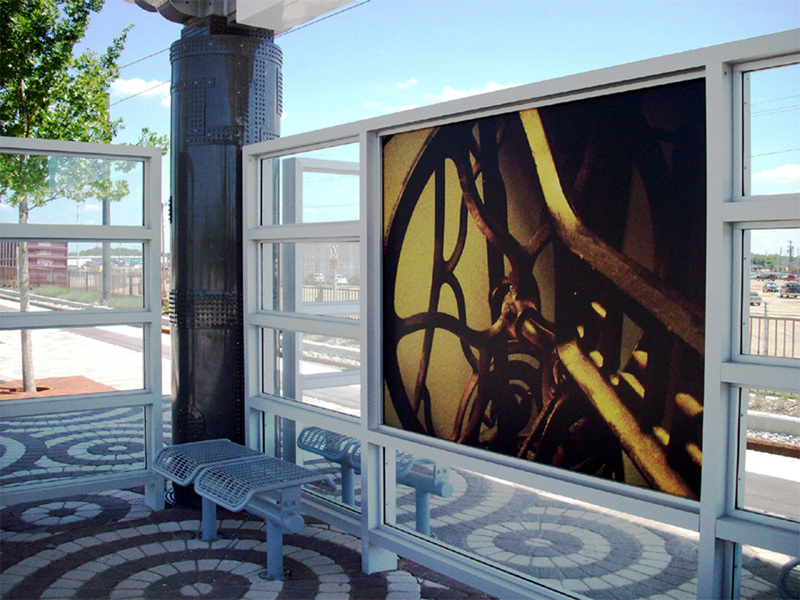 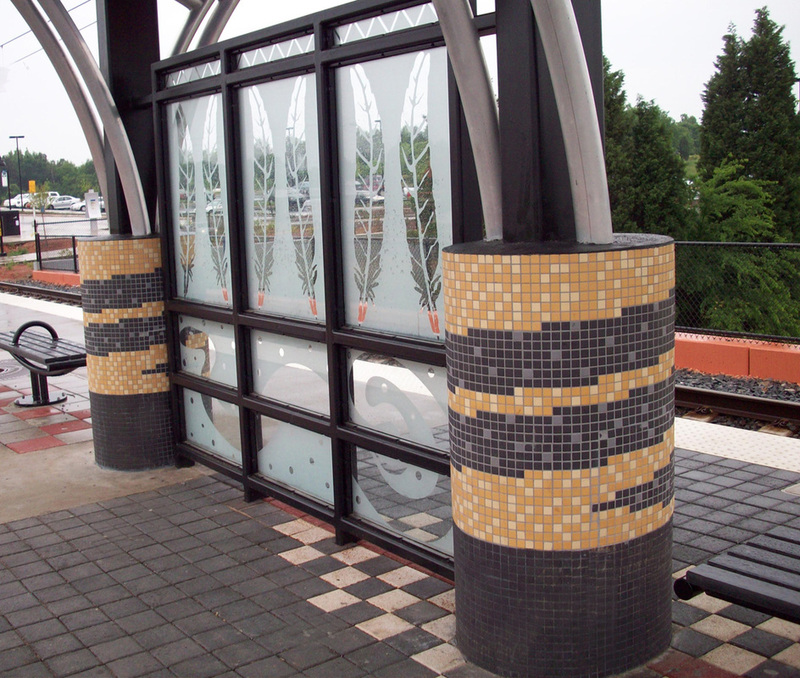 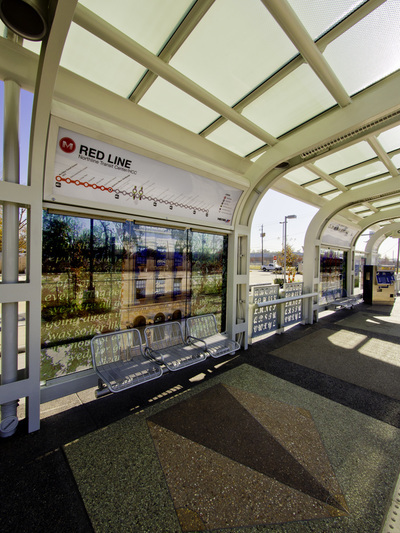 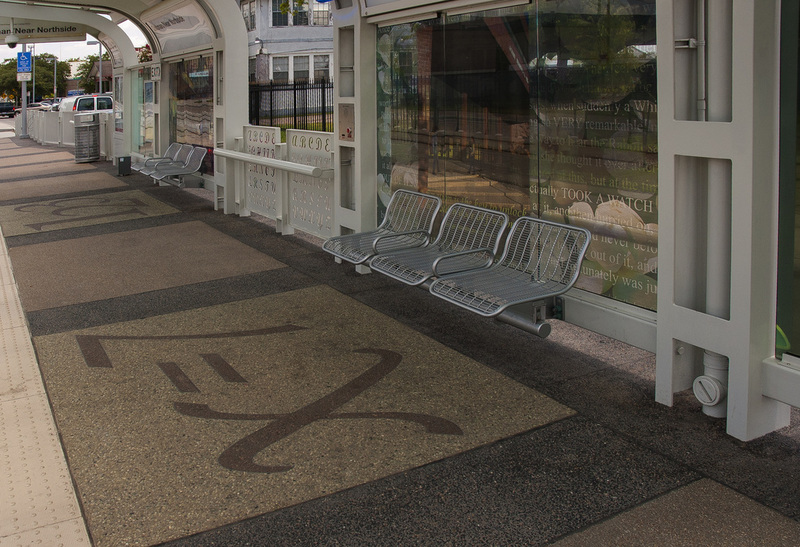 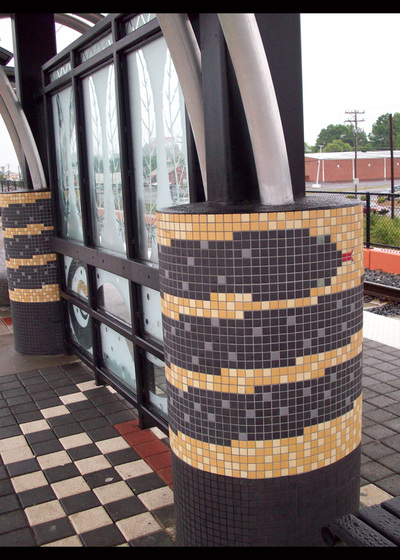 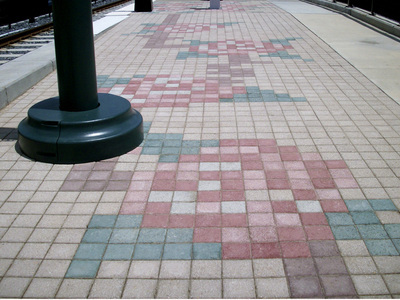 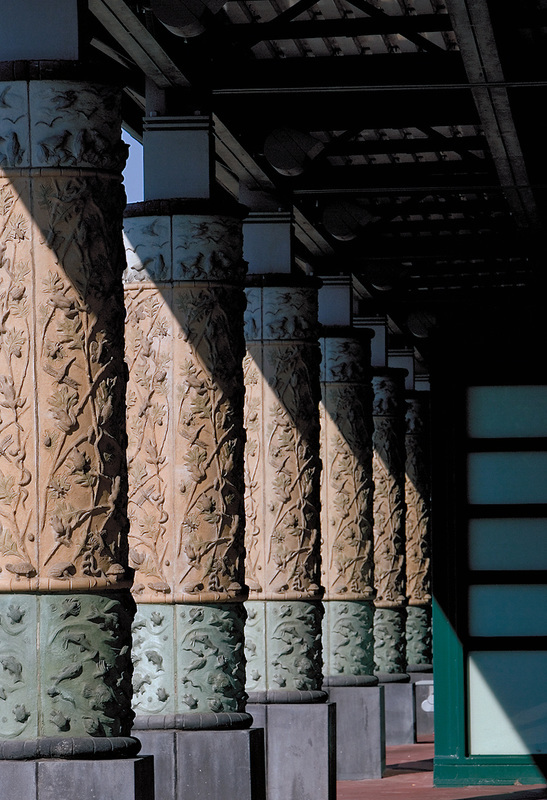 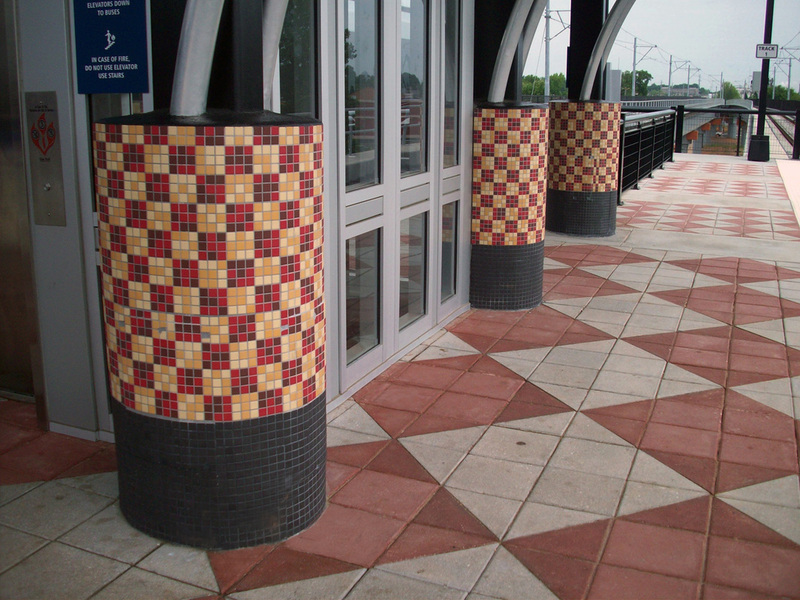 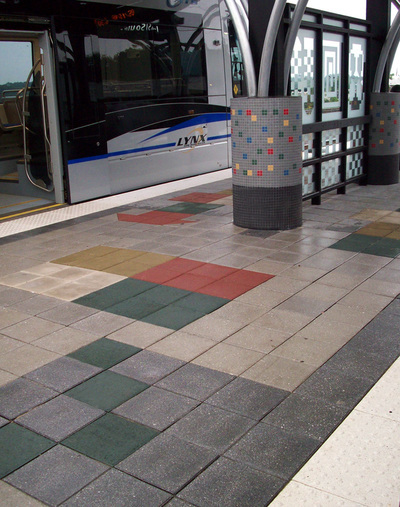 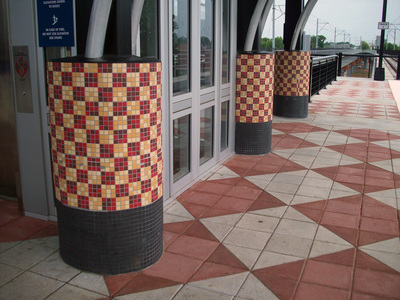 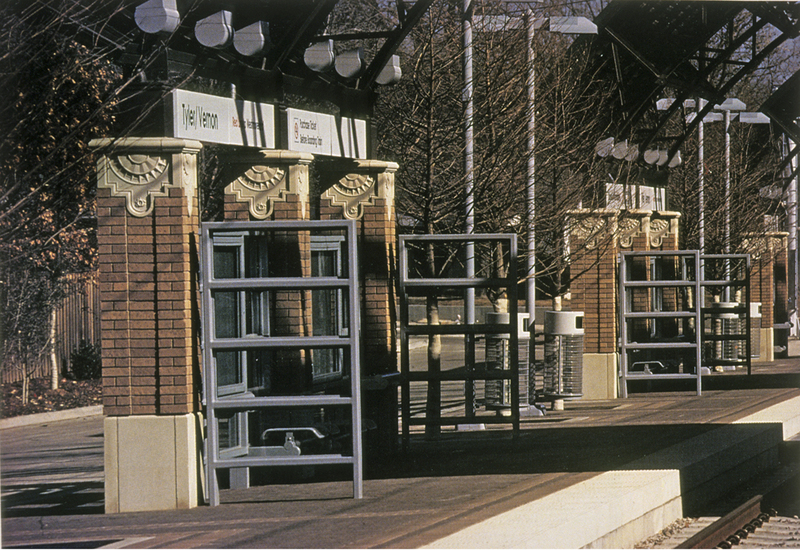 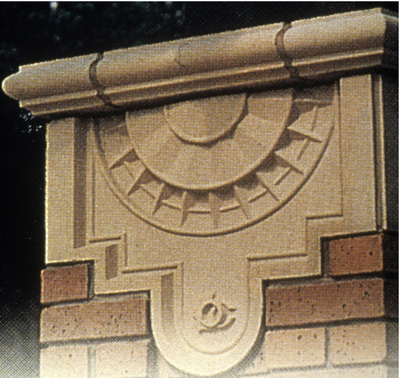 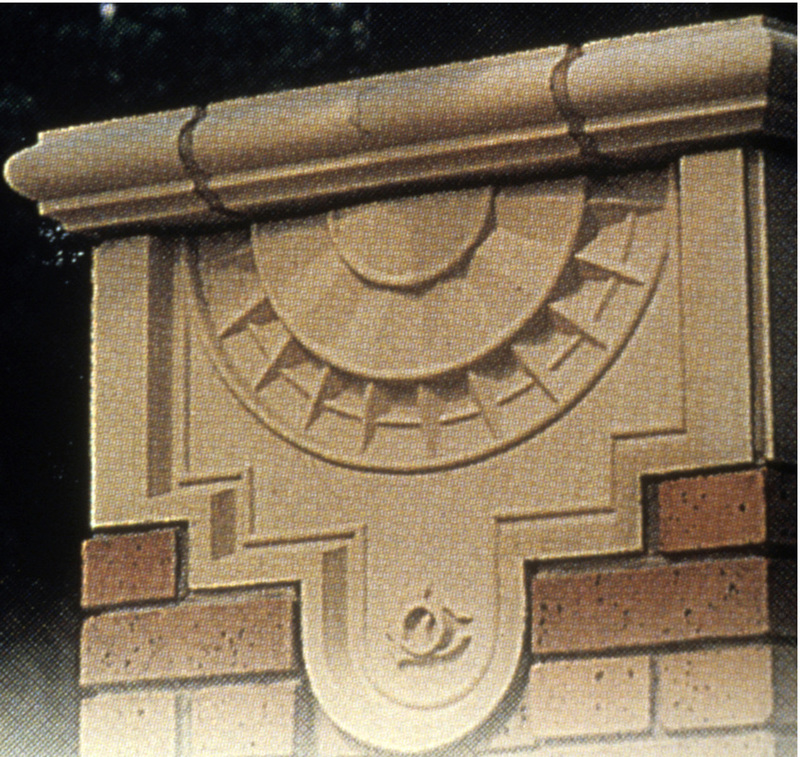 Design of the DART Buckner station references the manufacturing history of the surrounding area. 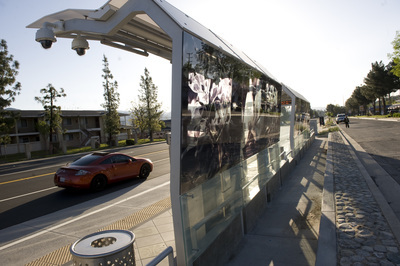 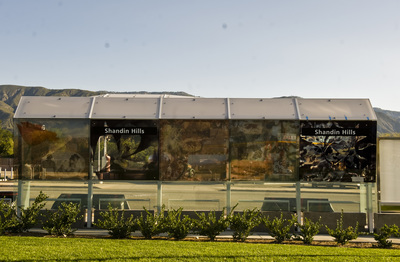 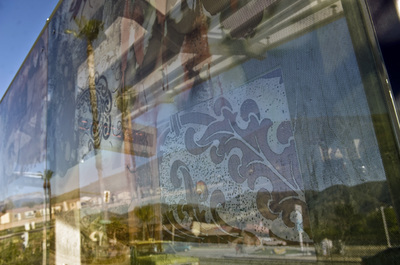 The Kendall Rapid Bus Stations are located at Shandin and Little Mountain in San Bernardino, California. 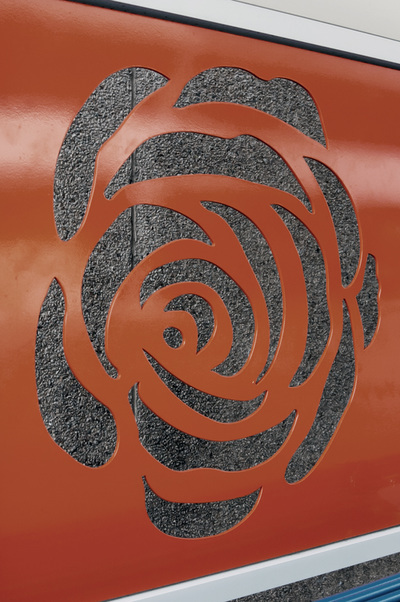 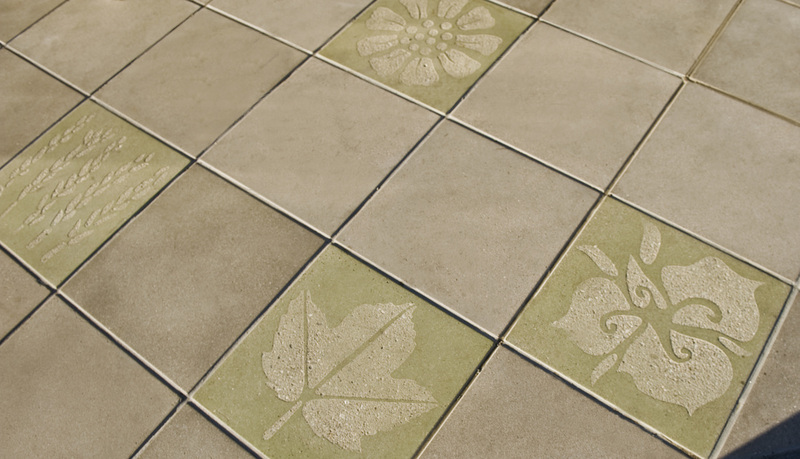 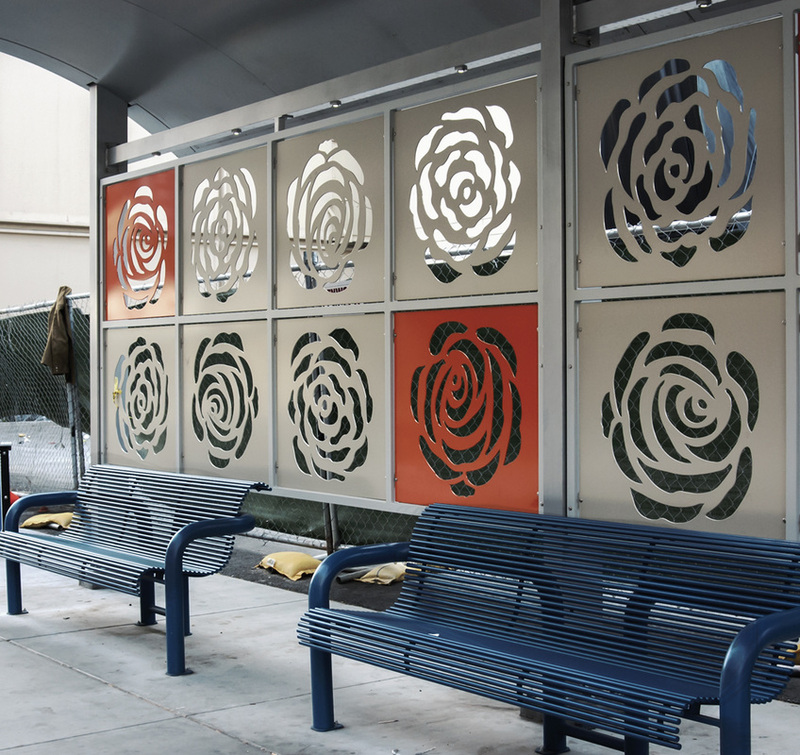 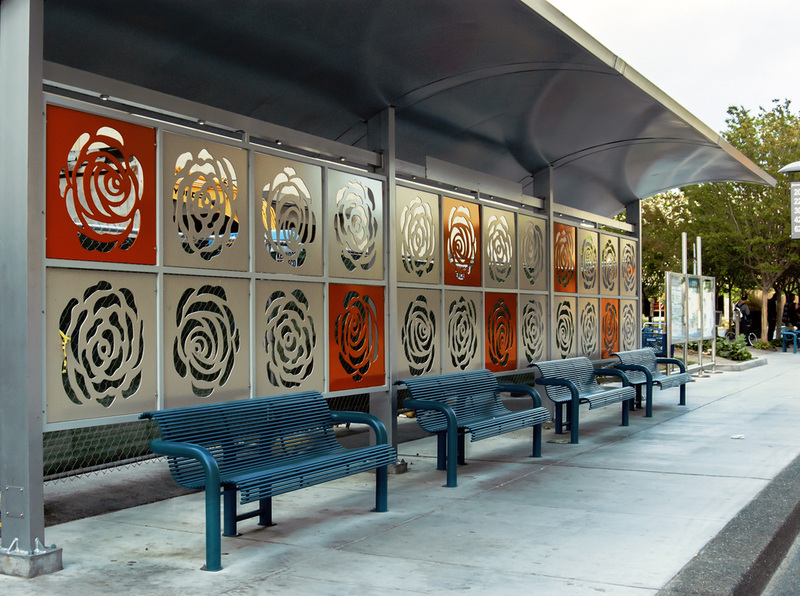 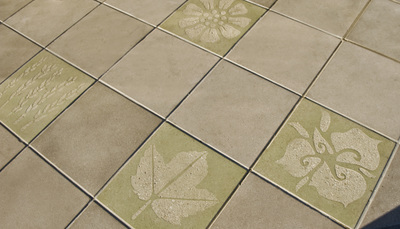 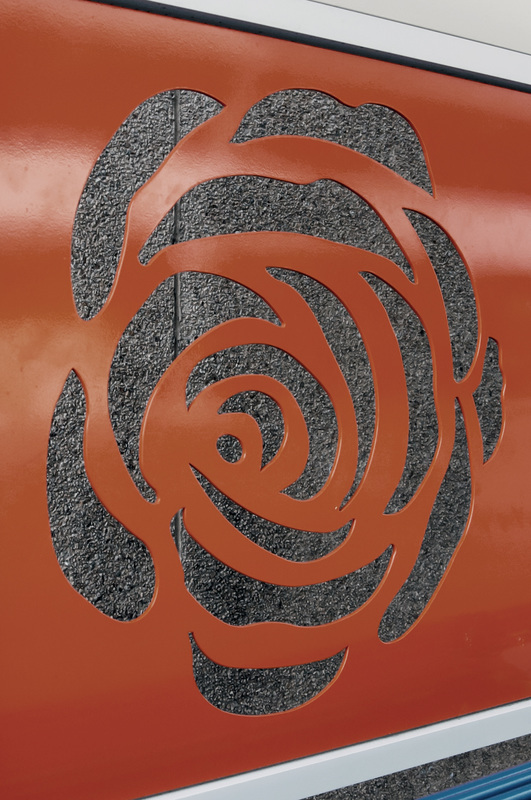 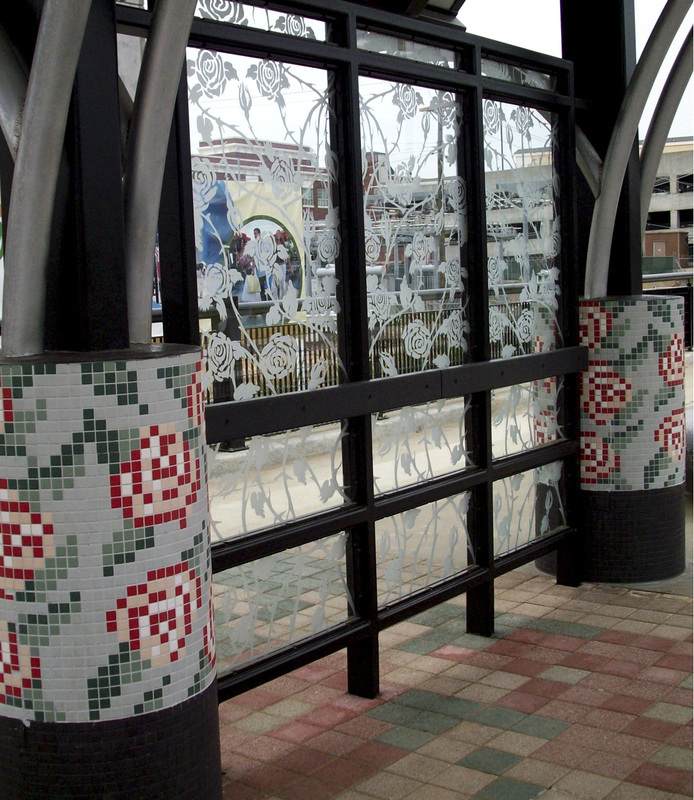 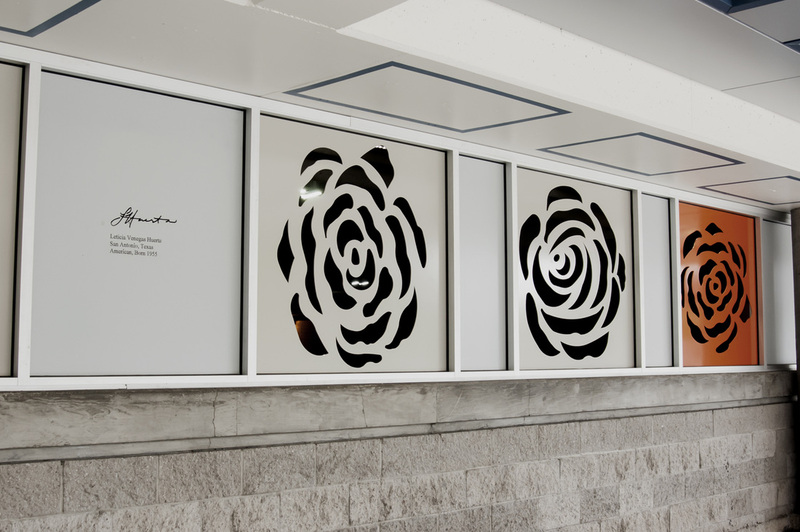 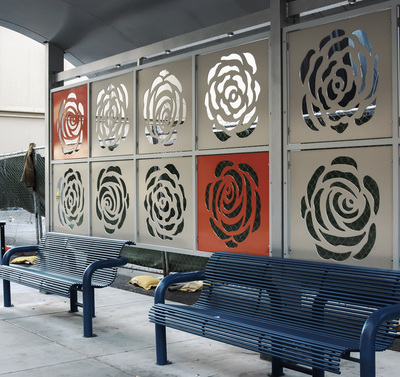 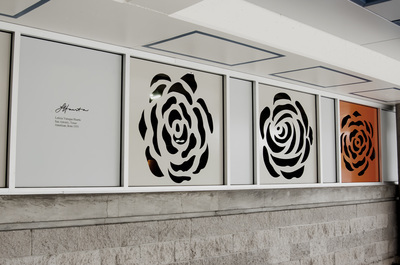 Santa Rosa Transit Center Project "Roses"